The pulse generator power is flexibly adjusted to the performance requirement, i.e. the amount and the character of water to be treated. The energy consumption depends on the nature and concentration of impurities, and the extent the impurities have to be removed. High performance and reliability of the power supply originates from our extensive knowledge and more than 20 years expertise in the area of high-voltage and pulsed power engineering. The pulse generator is highly reliable. 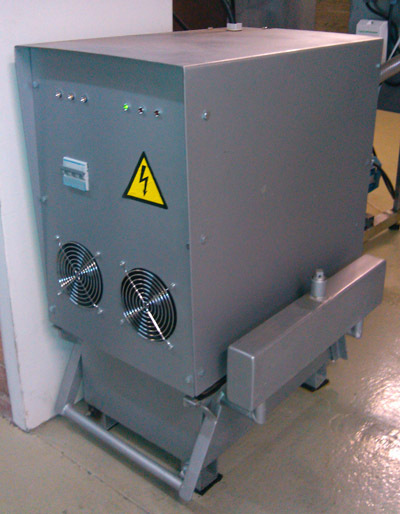 Generator input power ranges from 100 W to 5 kW and higher, depending on application.